We are a Third Party Logistic Fulfilment Provider at the hub of the UK’s motorway network. Our modern, secure warehouse in Coventry is run by a team offering quality Warehousing and Order Fulfilment services and experience you need to keep your customers satisfied. As experts in order fulfilment, we know how critical it is to provide your customers with an efficient service every time. That’s why we are the fastest growing 3PL in the online retail sector. We want you and your customers to keep coming back for more. 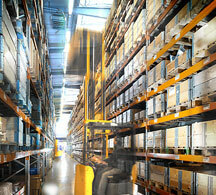 Whatever your sales channel, product or business, our quality Warehousing and Order Fulfilment delivers every time. Why Online Retailers choose us? We not only understand order fulfilment, we are passionate about it too. Our IT system make it easy for you to satisfy your customers. Not only that, we can help you grow your business globally, gain a competitive advantage and support your marketing efforts. We have warehouses in the UK and also in Germany. And unlike some companies you may encounter, we own them all. So you are not dealing with other strategic partners. Being part of a larger Group, means that we can offer you a complete solution, whether it is order fulfilment, packaging or contract packing; all with one point of contact. We work with you from the start to refine processes, so that we can offer you the most cost effective solution for your business. Contact us today to find out how DK Fulfilment can be your partner for warehousing and order fulfilment services whether you are a large corporation or a smaller independent. We have the warehouse facilities to meet your requirements. Your web site can be linked to our order fulfilment systems, your customer can shop and pay online with orders being automatically fed to our warehouse management system. We take care of the process from that point. We pick, pack and despatch. Every fulfilment task is different. High volume, low volume, complex, simple. We have many years of experience in finding innovative solutions to deliver your fulfilment needs. From bulk mailing sample products to wrapping flowers and individually packaging perfumes and pashminas, we’ve done it.